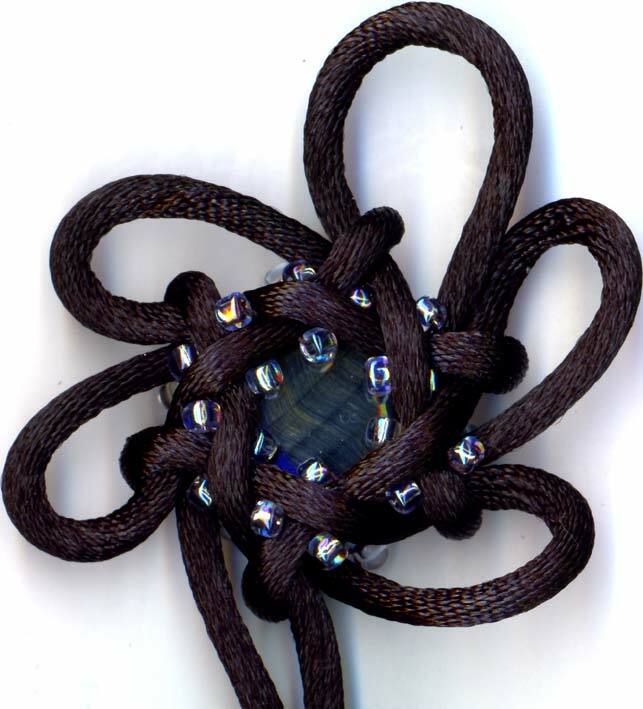 The "back" side (see right) is the first side I worked on. 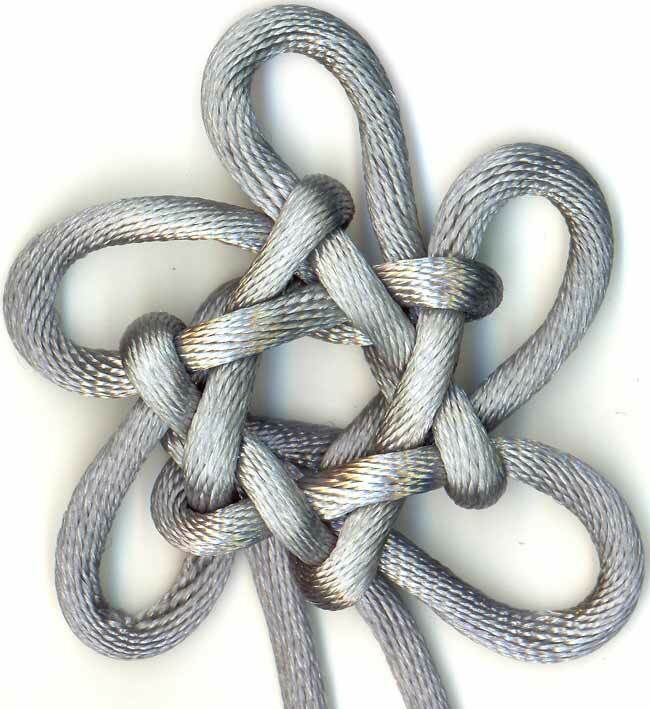 I finally successfully tied and tightened the type 2 hexagonal stellar knot. It's nice but the centre hole is not as big as I'd hoped. 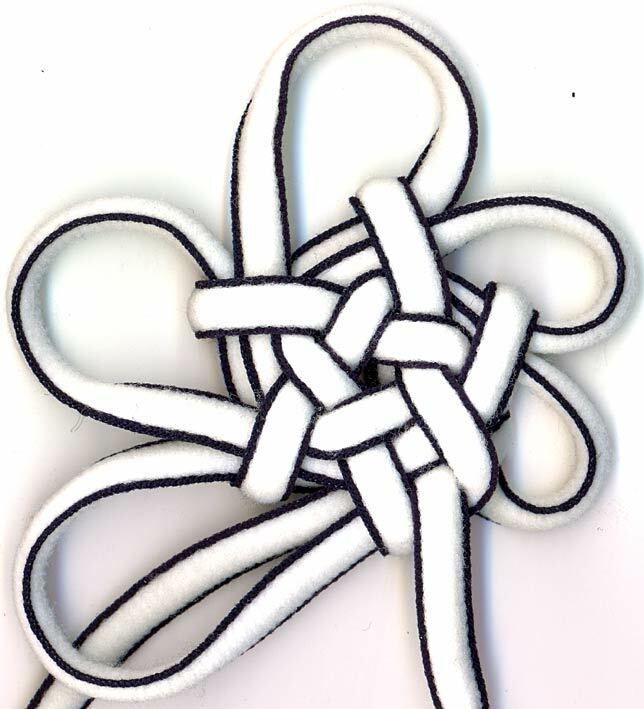 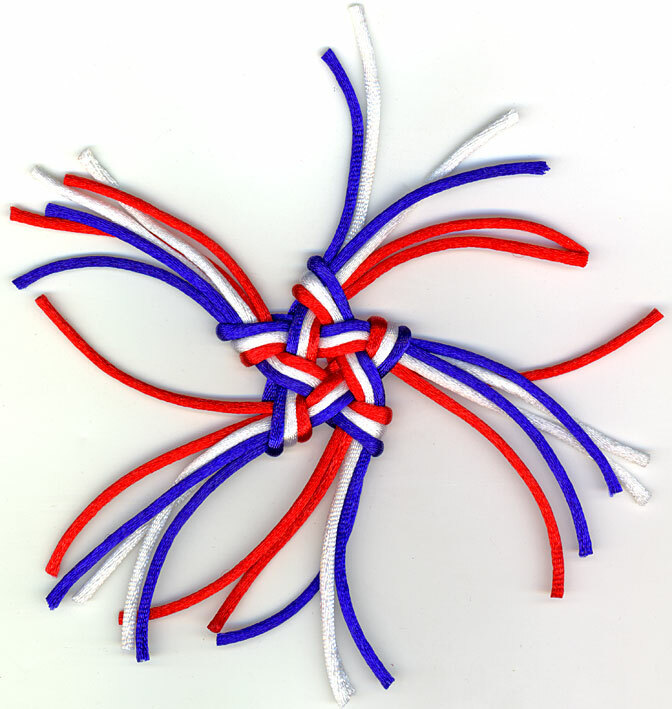 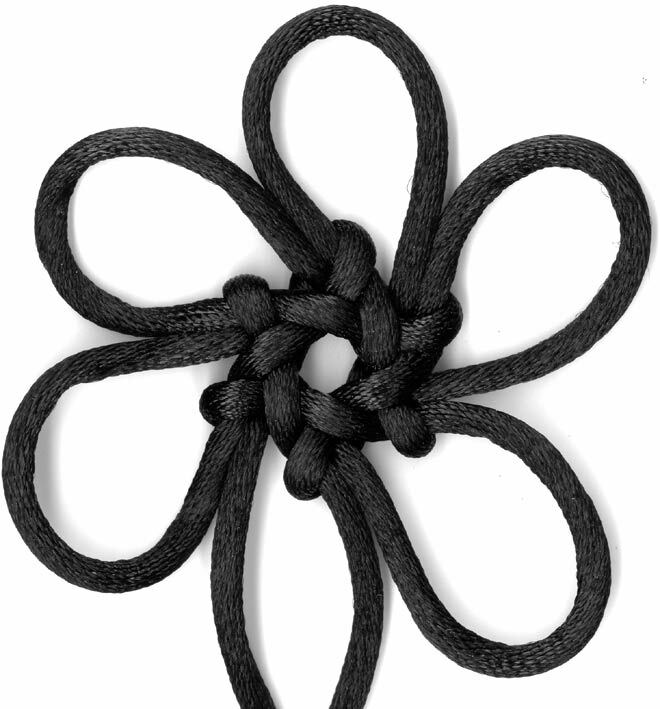 So, it's back to the standard stellar knot with fewer overlaps, methinks. 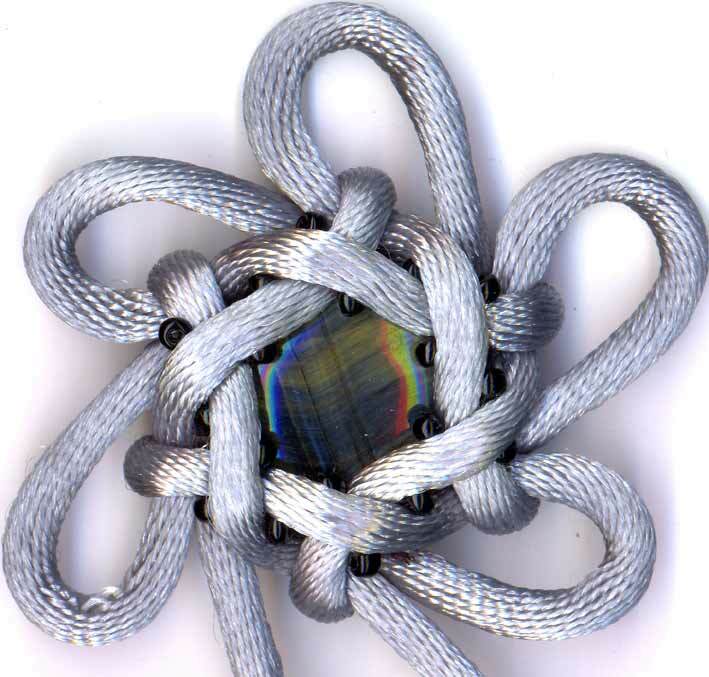 With those nice hexagonal beads, I wanted to frame them with a hexagonal knot. 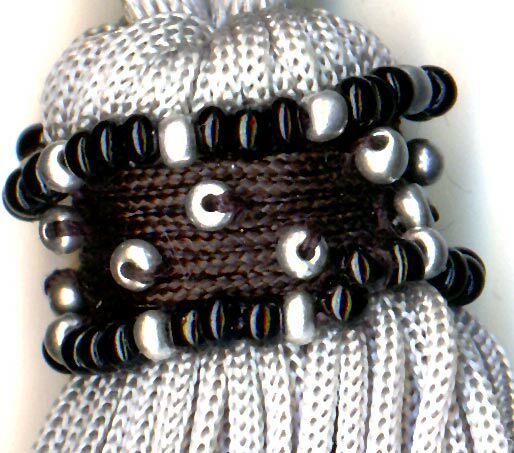 It didn't need to be particularly stable as I'd be reinforcing the central area with thread (and more beads), so likely I'd be taking a hexagonal knot and reduce the amount of overlapping an favour of a bigger centre hole, the better to display the framed bead rather than hide it. 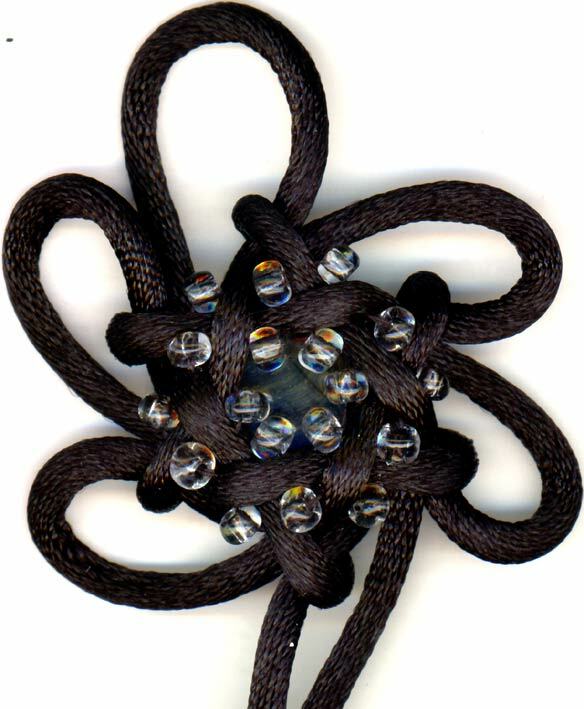 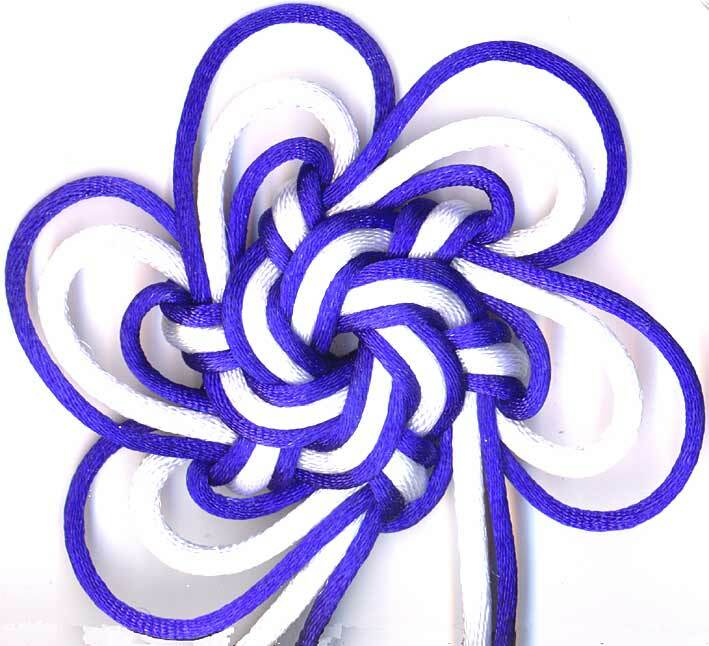 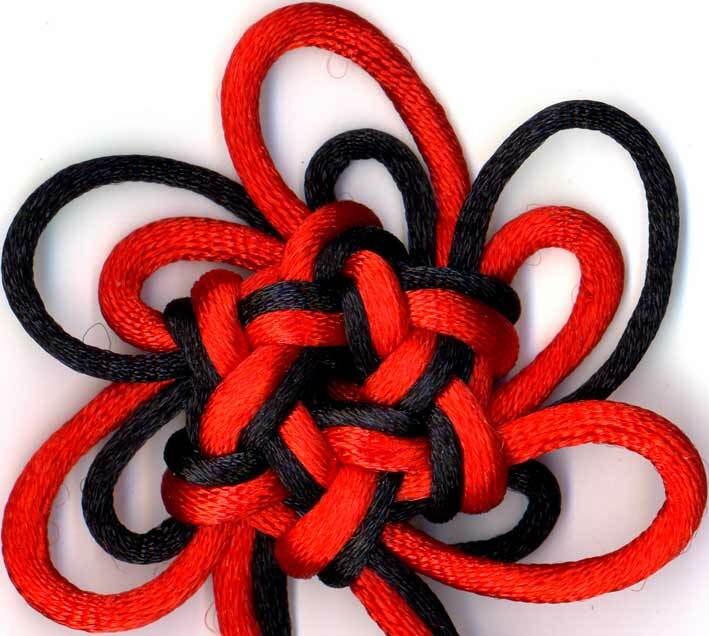 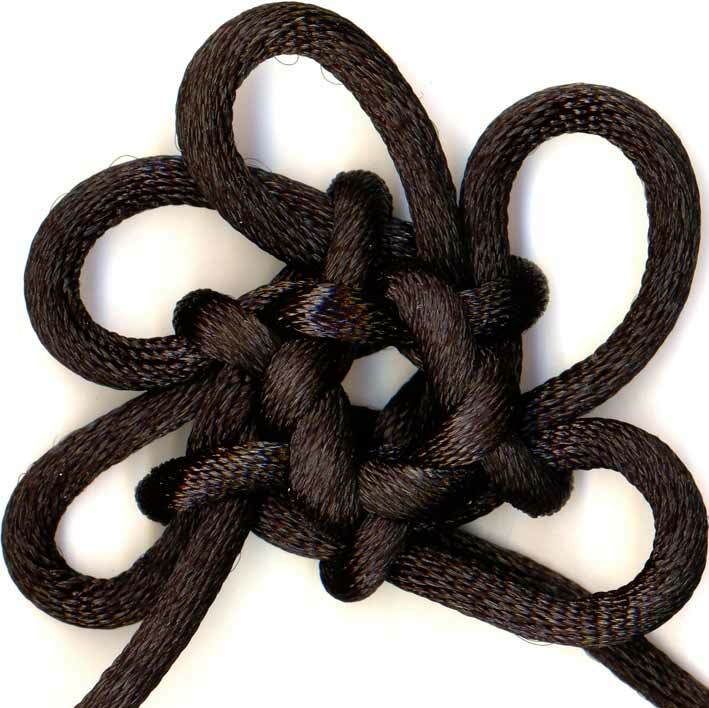 Looking through Lydia Chen's third book, I decided on the "Type 2 Compound Constellation Knot" which unlike your basic hexagonal stellar knot (which is uouu) has a structural loop path of uuouo. 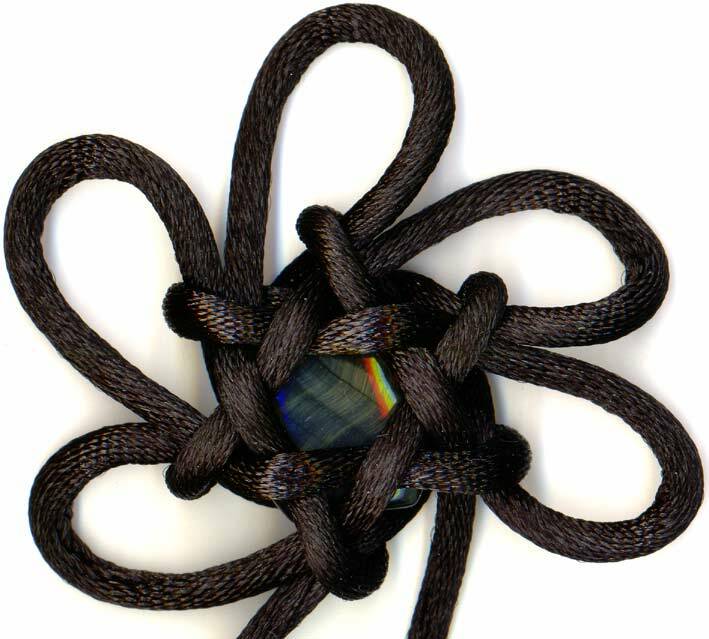 At this point I've tied it about 6-7 times and each time it looks... funny. 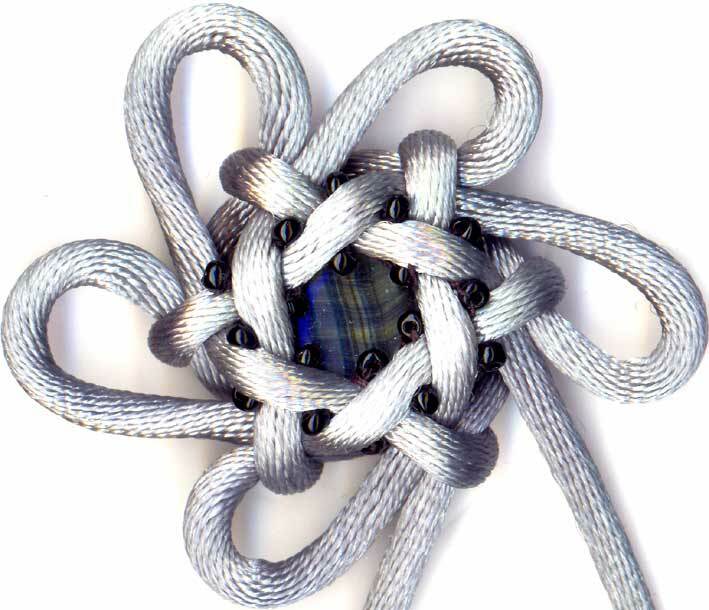 As usual with a new polygonal knot, it's the last interlacing pass on the back side that's tricky.